Monza may have been spared the dramatics but it could prove a significant weekend in the championship. In fact, there were 100 metres that could prove decisive. Buoyed by a strong damage limitation display at Spa, with three new fresh engines to use, Lewis Hamilton looked on form and blew his teammate, let alone the field, in qualifying on Saturday, securing pole by an emphatic near half second. But in the vital moment, his luck was out, and he faltered at the start, dropping down to sixth and, on a track where Mercedes were so dominant, a fairly automatic win for Nico Rosberg. 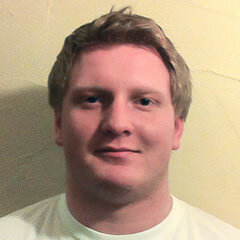 The Aussie’s podium run may have been ended but that doesn’t mean he didn’t perform in Northern Italy at the weekend. 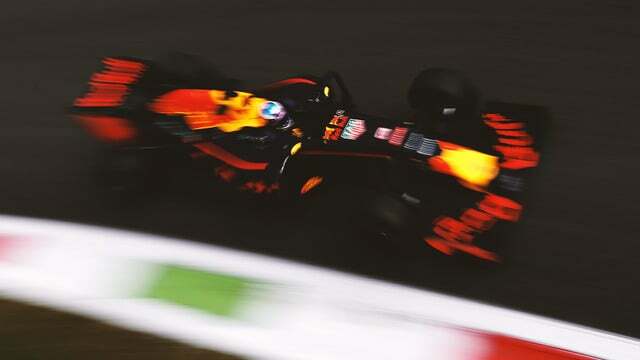 Ricciardo and Red Bull knew that it would be a tough weekend for them – no matter how hard they try to improve the engine, it still doesn’t quite match Ferrari's, which itself was upgraded this weekend. And with so few corners for the Red Bull chassis to excel itself, Ricciardo and Verstappen were in an uphill battle to challenge for a podium. Once again Ricciardo showed he is the man to beat at Red Bull, and at this point it has to be questioned whether the pressure of being at the top table as well as constant criticism of his driving style is getting to teammate Max Verstappen. Ricciardo squeezed every last drop of performance out of the Red Bull on Saturday, qualifying within a second of Mercedes and agonisingly close to fifth on the grid. The Aussie was one thousandth slower than Valtteri Bottas, meaning starting on the dirty side of the track as Williams utilised a track that suited their strong power unit and slippery chassis. Knowing that passing on pure pace was out of the question - while the cars were closely matched, overtaking the more powerful Williams down the straight was out of the question - the Milton Keynes squad experimented with strategy. They didn't bite on Williams' early stop, leaving Ricciardo out on older rubber knowing that extending their stints would mean the race would come to them in the end. As Bottas faded at the end of the first stint, Williams pulled the trigger but the Red Bull was kinder on his tyres and Ricciardo could push later in a stint, even once Bottas had pitted. After coming out from his first stop in sixth, Red Bull got even bolder at the second round of stops, running an alternate strategy to the traditional supersoft-soft-soft two stop. The pain of Williams struggling on their tyres would tell late in the race, having to run 22 laps on the soft to make it to the end, but Red Bull were ambitious too, pitting on lap 38, and attempting to run 15 laps on supersofts to the flag. It worked, Ricciardo was able to utilise the softer rubber and quickly closed the gap. The worry was over whether his tyres would go off before the end. But just before these questions would be answered, Ricciardo got bold, divining down the inside into the Rettifiio from a mile back and claiming the corner in one of the most exciting, if controlled, moves you will see. Then it was a case of managing the tyres to the end but on a long stint himself, Bottas had no reply and was left to settle for sixth, splitting the Red Bulls with a faultless display. 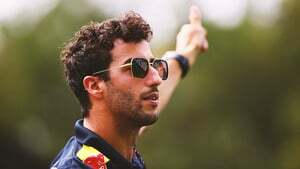 As we enter another new era of regulations, Ricciardo looks all but assured to win the non-Mercedes title, even despite running a Renault engine all three years, showing just how good a driver he is, and that he is surely a future World Champion if Red Bull can once again deliver a championship calibre package. Some drivers just don’t have luck. Take Esteban Gutiérrez, who performed brilliantly in qualifying to score a rare Q3 appearance, his and Haas’ first, with an excellent lap in Q2 that put him in 7th. With everything turned up to 11, he couldn’t quite replicate it but 10th was still well beyond a credible effort. Unfortunately all his great work was undone with a terrible start as he went into anti-stall off the line and dropped to the back, points all but out of the question and on for a more challenging race than usual if anything. On the other side of the garage, Grosjean was having a terrible time, struggling to get anywhere near his teammate’s one lap pace. As we’ve seen over the last few years though, you can never rule the Frenchman out over a race distance. Grosjean’s struggles were made even tougher, after qualifying a solid, if unspectacular (not to mention overshadowed) 12th, Grosjean had to take a gearbox penalty after a Q3 incident that caused him to spin in the Ascari chicane. While his teammate went backwards, Grosjean made his race at the start and by the end of lap one, he was up to 13th, and then jumped past Wehrlein on lap two. The great getaway came despite starting the race on soft tyres, getting them up to temperature and limiting wheelspin despite a tyre disadvantage. It also meant he had a great advantage over those on option tyres behind. Grosjean jumped up as high as fifth by lap 18 but slid to 11th by the time he stopped, as those on fresher tyres got back past. But the race would come to Grosjean, he came out 14th but on a one stop strategy, he was now on the option tyres, passing the Mercedes, who couldn’t get back past, even with newer, softer tyres. Twelfth was far from Grosjean’s most spectacular results this season but it was a strong performance once again to recover from a lowly grid position to the verge of points, once again utilising strategy and Haas’ slippery chassis to challenge the top of the midfield.